There are many reasons why vendor executives might consider a move to the provider side; for Joel Vengco, who worked with product development at GE Healthcare IT, it was an opportunity to truly innovate. And sure enough, two years accepting the CIO role at Baytate Health, Vengco founded TechSpring, which provides “a platform for innovators to test out solutions” in a real-life environment. In this interview, Vengco talks about his goals with TechSpring and how it has helped shape the organization’s strategic direction, the work his team is doing to drive value-based care, and the goal of moving to an integrated platform. He also discusses the CIO’s role in managing expectations, why analytics is “the next big boom,” and the biggest challenge for today’s leaders. I think it’s absolutely critical to be able to show the lifecycle of data as it exits the EHR and gets into eventually a report or an analytic. And again, folks at the highest levels don’t realize the evolution that a piece of data has to go through to get to that final stage of visualization. A lot of it is sharing lessons learned and sharing analytics that sit on top of the same data model, and so the idea is that you get velocity to value in a form that’s hopefully more rapid than you would if you were doing it on your own. Plus, you have the economy of scale to leverage a platform that’s shared by many, so that hopefully that drives down the cost. We’ve got a lot of folks that come up with technologies that they believe could work in healthcare that have worked in other industries. I think that’s the kind of collaboration and coalitions that we need to really derive the best possible innovations. All those together create a platform for innovators to really test out their solutions. Whether they’re technology solutions, analytics solutions, or device solutions or apps, the whole intention is to create an environment for folks who believe they’ve got a winning solution. Gamble: That’s interesting. I think maybe it’s been underestimated how complicated the entire process is. It’s not something where you get quick results. Vengco: I think it’s a challenge for the CIO to be able to articulate that well. Because naturally, as a board member or as an executive that has now poured in let’s say several hundred million dollars into an EHR, you’re expecting that there’s some outcome from that other than just, ‘hey, we’ve digitized the record.’ A lot of folks expect that we’re going to be able to see all of these great reports and analytics, and unfortunately, that’s just not the case right now. A lot of the EHR vendors are moving towards better standardization. We’re seeing legislation that focused on more data standardization, harmonization, and focus on liberating data, as I like to call it. Those are the things that we still have yet to achieve in today’s industry. I think that’s really the next large boom in healthcare, which is analytics and use of data for insight, knowledge, and action. And by the way, that’s not just for the health system, administrators, and providers; the patients are clamoring for that data also. They want to see their record. They want to be able to manage their health and their family’s health, and so data is a critical part of what we need to be able to provide to many stakeholders. Gamble: And so what can CIOs do when they’re not necessarily getting pressure, but dealing with board expectations and wanting to see the graphs, like you talked about. What’s kind of the best way to handle that situation? Vengco: There’s a level of education that you have to make sure you provide to your executive colleagues, and those senior leaders that you engage with as a CIO for sure. And the board as well — you need to be able to provide that type of education. There’s a course that can be provided by the chief information officer if they have that kind of background, and certainly, a chief analytics officer — if you have one — or director of analytics can also do the same. But I think it’s absolutely critical to be able to show the lifecycle of data as it exits the EHR and gets into eventually a report or an analytic. And again, folks at the highest levels don’t realize the evolution that a piece of data has to go through to get to that final stage of visualization. And that big evolution period is something that folks don’t understand. They don’t realize that you have to take a medication, for example, and make sure it has a code associated with it. You’ve got to make sure that code is standardized enough so that it can be connected to another med that’s in another EHR or another system. And then you also have to connect that code to a patient who needs to be connected to a provider. There are all of these different things that need to occur so that relationships of the data can be developed, and then you create the correct visualizations. That part is still misunderstood at some level by the sponsors of our health system, if you will, or the executive leadership. It’s not because they don’t want to understand it; that’s deep detail that you need to figure how to communicate at a higher level. Otherwise, you risk the assumption that ‘gosh, shouldn’t we have analytics? Everybody else seems to have analytics going on.’ And the fact of the matter is it’s still very immature in our industry. Gamble: Definitely. Do you use any kind of third-party provider for analytics? Vengco: We actually decided that we dive into this idea of a cloud-based analytics platform. 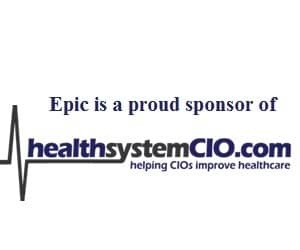 So we have partnered with Premier, Inc., which is a large GPO for healthcare, but they also have focused in the past on the quality analytics. They also focus on ACO management and analytics for risk-sharing organizations, and a variety of other things that they have done. And what they’ve created is a cloud-based environment that has an IBM backbone, but also a variety of other technologies that enable extraction of data and security of that data. But the really interesting thing about that environment is the consortium that it’s created. I think there are close to 20 health systems that are in this analytics consortium. A lot of it is sharing lessons learned and sharing analytics that sit on top of the same data model, and so the idea is that you get velocity to value in a form that’s hopefully more rapid than you would if you were doing it on your own. Plus, you have the economy of scale to leverage a platform that’s shared by many, so that hopefully that drives down the cost. Because analytics can be very, very expensive. So that’s our main platform right now. The other part also that I’ve focused on is the use of our TechSpring Technology Innovation Center at Baystate, which has really opened the doors for vendors and innovators to help us utilize our data better and perhaps come up with insights and knowledge through analytics that would really push the use of that data to solve problems that we have in healthcare today. Really on top of what we’re doing with the operational analytics at Premier, the hope is to broaden that net to more smart individuals to try to take our data and really give us some amazing insight and knowledge from that data. Gamble: That’s certainly makes sense. Like you said, it’s an industry that does lag behind, but there are some very bright minds and forward-thinking organizations, and it seems smart to try to partner with them and try to not have everyone invent the wheel on their own. Vengco: Right. And I think you just made a point that I think is crucial. My intention, and also my thinking behind creating an environment like TechSpring, is to open the door for those that are working on new ways to use this data and this information to derive analytics, or maybe even derive new applications. And we don’t close that off to players that are outside of the healthcare industry. In fact, we welcome non-healthcare innovators to come into TechSpring, because if they’ve solved something for the financial industry like big data analytics, or high volume, high velocity data in the stock market, and they can see trends or micro views, and they can put that into signal data that’s coming from the telemetry systems that we have in the hospital or other systems that we might have across the enterprise, we would welcome that type of innovation for sure. We’ve got a lot of folks that come up with technologies that they believe could work in healthcare that have worked in other industries. I think that’s the kind of collaboration and coalitions that we need to have in healthcare today to really derive the best possible innovations to solve many of our problems. Gamble: Can you talk a little bit about how it’s set up? TechSpring is the innovation hub of Baystate, correct? Vengco: TechSpring which is actually named that because it’s in Springfield, Massachusetts and is sort of a play on words — technology and Springfield — and so TechSpring really can take on a variety of different meanings. But TechSpring is Baystate Health’s Technology Innovation Center specifically, so its focus is to use the assets of Baystate Health. Those assets include digital assets like our data in our systems, but it also focuses in on using the environment — our five hospitals, our 90 medical groups, our health plan, our region, and the players in the region and the neighborhood, as well as the experts, which are the clinicians, the business administrators, and the financial team. All those together create a platform and environment for innovators to really test out their solutions. Whether they’re technology solutions or analytics solutions, or device solutions or apps, the whole intention is to create an environment for folks who believe they’ve got a winning solution that’s 85 percent of the way there, so a little later stage than a true start-up right now. But the goal is to prove out that it actually works in an environment like Baystate. The belief is that Baystate is an environment that many health systems look like. It’s not quite the largest health system, but it’s not the smallest health system. It may not be the most prestigious, but it certainly has a lot of awards nationally. It’s often up there in the top 10 in terms of quality, safety and best care for many services. So it’s certainly a model health system in that regard. TechSpring is really leveraging the Baystate Health environment so that innovators can look at their solutions and test their solutions and see if they work in an environment such as that.